An effective social media marketing plan is an integral part of running a business in the digital age. Your customers expect you to be present and available on multiple channels. And it’s not enough to just be there. 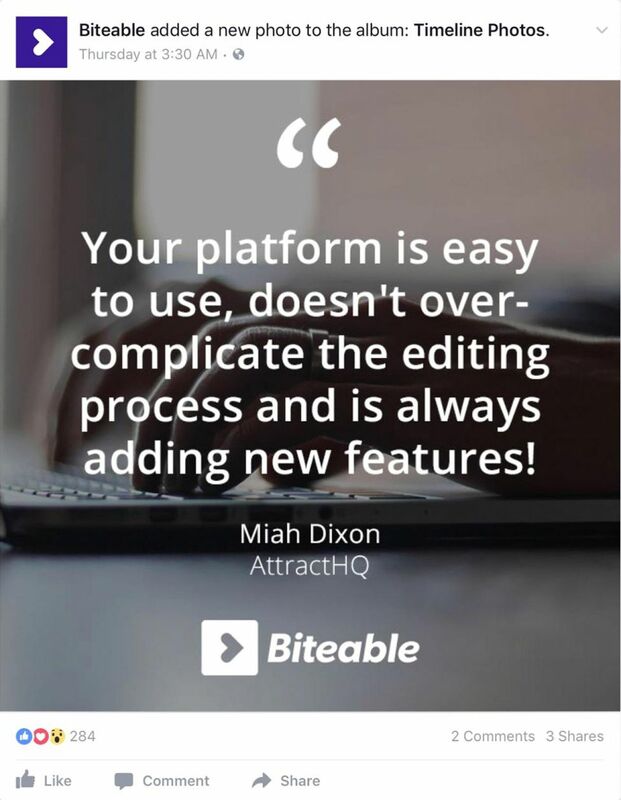 You need to consistently post relevant, exciting content. One behemoth towers above the others. You guessed it. 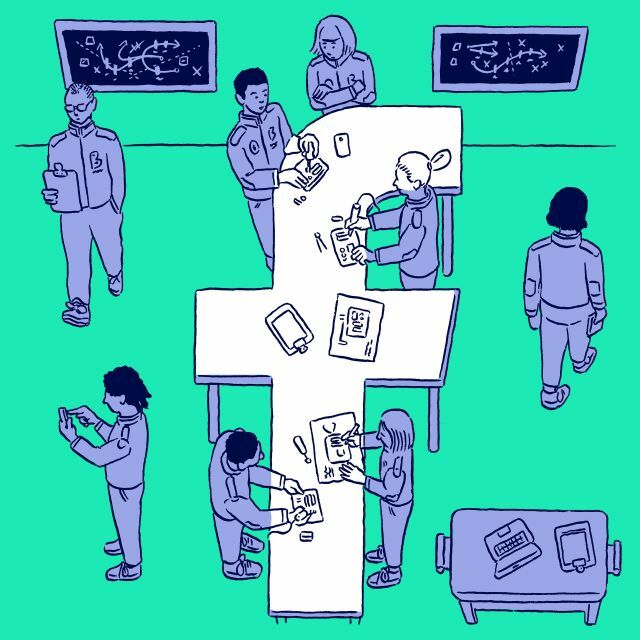 With 1.86 billion monthly users, Facebook rules them all. It is ubiquitous across genders, countries and demographics. That popularity also means you have your job cut out for you. Organic reach is dropping across all industries and the battle for your fans’ attention is heating up. It’s not enough to share a blog post every morning. You need to share phenomenal posts or status updates specifically designed for your target demographic to make them stop in their tracks and hit the like button. Learn how professional marketers use Facebook video to grow businesses (like yours). 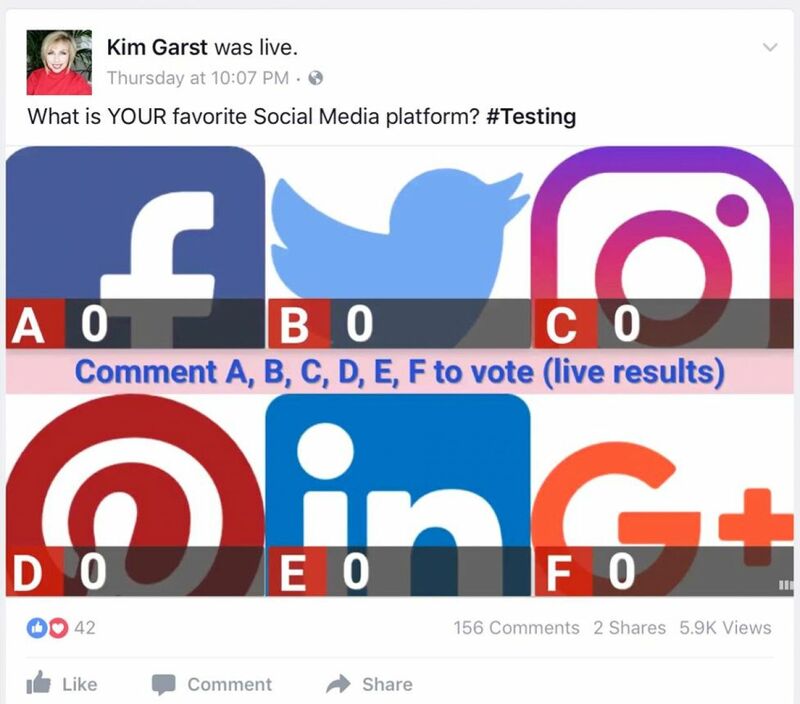 How do I create a great Facebook post for my business? 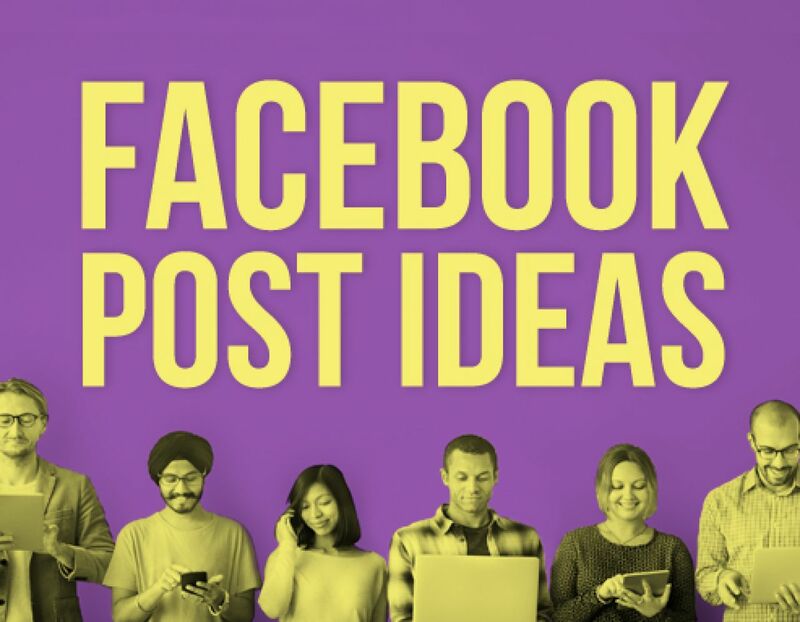 We know that crafting the perfect Facebook post takes time and your resources are already stretched pretty thin, so we’ve put together some fast, easy and impactful Facebook post ideas and the best status updates you can use to spark your creativity and start boosting those engagement numbers. Whether in the form of an update, a photo, a video, an infographic or a blog post, everything we create online falls under the umbrella of content creation. 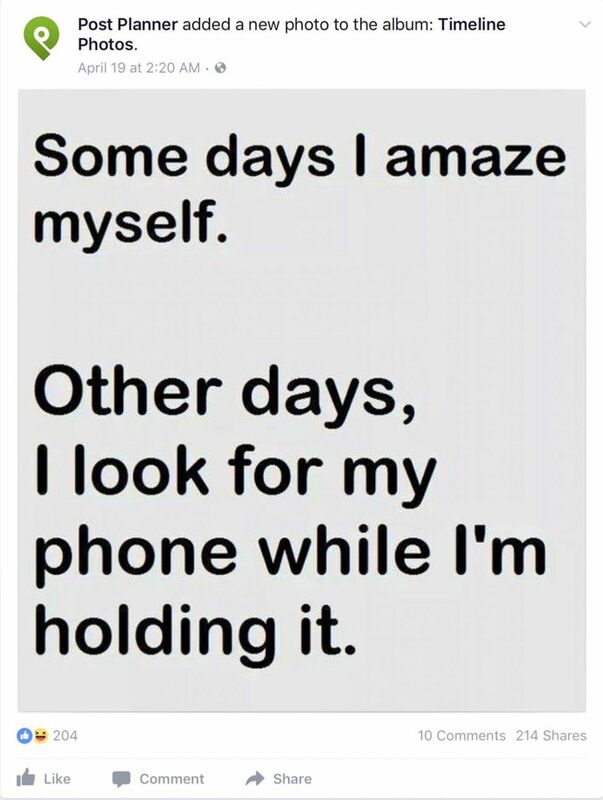 And lucky for us, social media is all about sharing useful content. Naturally, the easiest way to create a Facebook post or status update is to share one the pieces of content you’ve already created for your business. Link to your latest blog post, create a short post that stokes the reader’s curiosity, make sure your images are optimized for Facebook and hit publish. Mission accomplished! Still, your Facebook page isn’t just about you. It’s an ongoing conversation between you and your followers. That’s why the next step is to wander into the wonderful world of content curation. Curate and share content that helps make your followers’ lives a little easier. It’s time to pull out the customer avatars you created during the early stages of putting together a marketing plan. If you haven’t gotten around to it yet, now is a great time to put some together. Once you’ve got them in front of you, make a list of the greatest challenges these people face and share content that helps make it all a little easier! 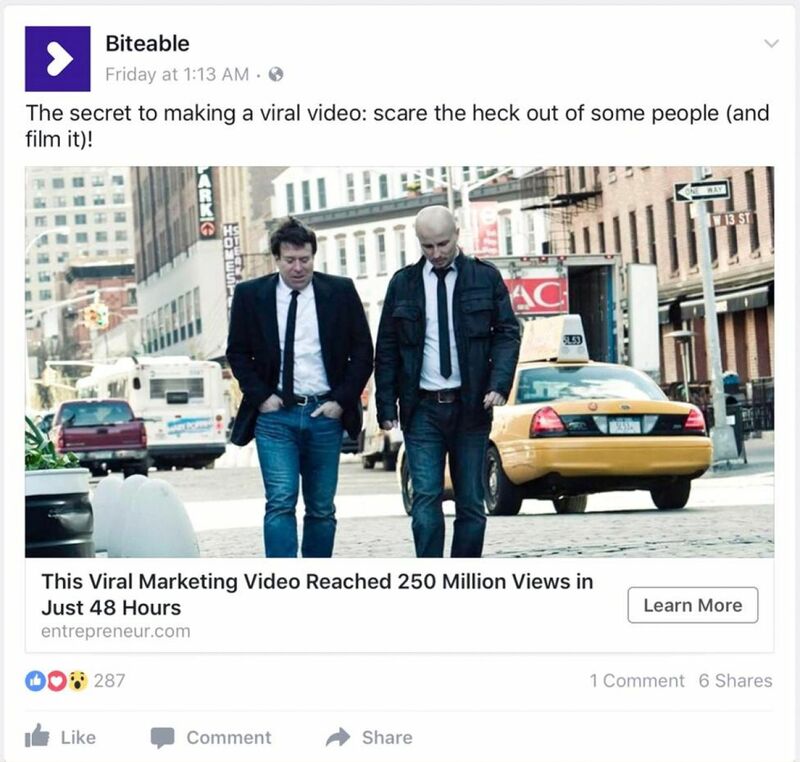 This post from the Biteable Facebook page directly speaks to one of our ideal clients – the small business owner who wants to use video to increase their reach. Find yours. It’s not all about useful articles and problem-solving though. A lot of us turn to Facebook and humor websites as a source of relief during a busy, stressful day. Be that source. A huge part of social media marketing is about building that shared narrative between you and your customers. Laughing together is a surefire way to strengthen that bond so next time you come across the perfect meme, don’t just laugh to yourself and move on. Turn it into a powerful post. PostPlanner does a fantastic job sharing memes and humorous images and those posts get much higher levels of engagement than their more serious articles. You’re more than the products and services you offer. Every day, a series of little moments present you with the perfect opportunity to build a deeper connection with your Facebook followers. Grab that opportunity with both hands and share moments and stories from your business, just like Innocent. Share some behind the scenes photos and stories. Take a snap at a work outing, take a few photos of the new product you’re launching or just snap your team during that morning coffee break. Add a short caption and let us know what you’re doing. Social media makes it easy to only share the pretty and picturesque, yet we’re all painfully aware that our lives aren’t made up of Instagrammable moments. Create posts that show off and celebrate the imperfectly perfect human moments. Facebook is a relationship-building tool. It connects you and your followers and gives them solid social proof that other people like your business, your product and what you stand for. It’s time to get these stories out there! You can share full stories or pick a single quote and create a simple, on-brand graphic with it. 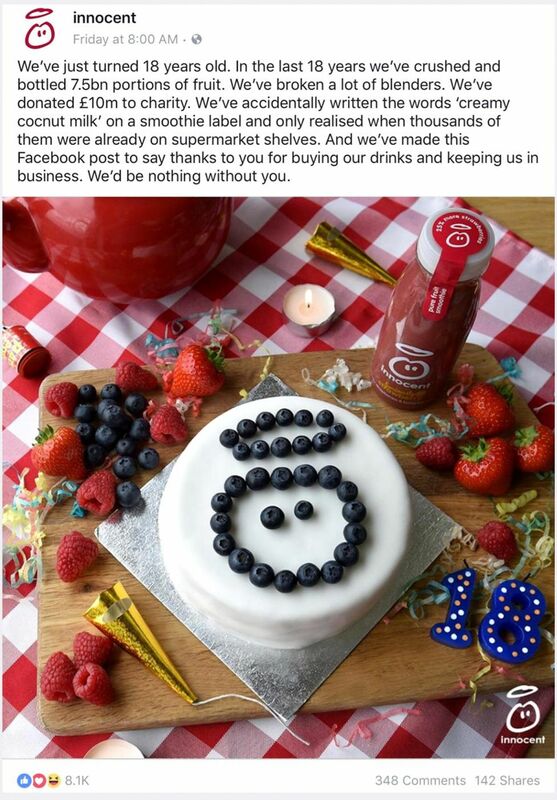 Sharing short success stories on your Facebook page is a double whammy. It engages, because we all love reading success stories, and it shows how well your product works in the real world in a non-salesy way. Businesses live and die based on the success of their customers. Many of your fans are still in the early relationship stages. They’re aware of you and are interested enough to learn more, but aren’t quite ready to make that purchase commitment. You can help them along the path by sharing posts that feature people further along the journey. You don’t want to be the person standing in the corner muttering to themselves all the time or the one who can only talk about how awesome they are. Avoid that by creating a question post. The premise is simple. All you need to do is ask your followers a relevant question. You can do it through a meme, by typing in a few old fashioned sentences or by holding a live poll. Asking questions is easy and it helps you get to know who your followers are, what they need and what they like. This opens the door to building a stronger relationship with them. For those of you who just skimmed the article, here’s a quick summary of the social media post ideas we shared (the post itself is much better, though. Just saying). The key to creating great social media updates is to listen to your followers and give them what they want. It’s really that simple. At Biteable, we’re slightly obsessed with using short videos in as many different ways as possible. Why don’t you try our free video creator for your next killer Facebook update? It’s quick, easy to use and will let you put these techniques to the test!